Objective To determine the validity of the Danish urban myth that it is possible to get drunk by submerging feet in alcohol. Design Open labelled, self experimental study, with no control group. Setting Office of a Danish hospital. Participants Three adults, median age 32 (range 31-35), free of chronic skin and liver disease and non-dependent on alcohol and psychoactive drugs. Main outcome measures The primary end point was the concentration of plasma ethanol (detection limit 2.2 mmol/L (10 mg/100 mL)), measured every 30 minutes for three hours while feet were submerged in a washing-up bowl containing the contents of three 700 mL bottles of vodka. The secondary outcome was self assessment of intoxication related symptoms (self confidence, urge to speak, and number of spontaneous hugs), scored on a scale of 0 to 10. Results Plasma ethanol concentrations were below the detection limit of 2.2 mmol/L (10 mg/100 mL) throughout the experiment. 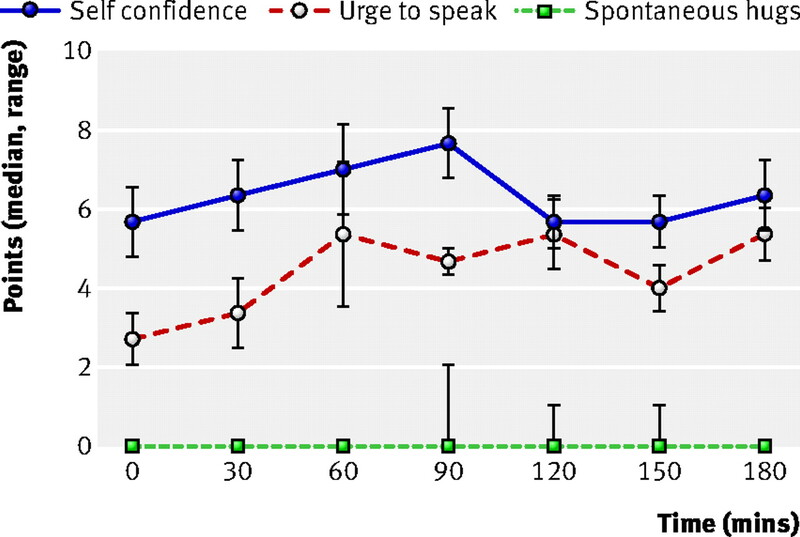 No significant changes were observed in the intoxication related symptoms, although self confidence and urge to speak increased slightly at the start of the study, probably due to the setup. Conclusion Our results suggest that feet are impenetrable to the alcohol component of vodka. We therefore conclude that the Danish urban myth of being able to get drunk by submerging feet in alcoholic beverages is just that; a myth. The implications of the study are many though. According to Danish urban folklore, it is possible to become drunk by submerging feet in alcoholic beverages. Furthermore, claims exist of urine becoming red when feet are submerged in beetroot juice. Because the transcutaneous transport of alcohol to the circulation may have widespread implications, such urban myths need to be investigated in a scientific setting. We determined whether alcohol can be detected in the circulation of humans after submersion of their feet in vodka; the Peace On Earth (Percutaneous Ethanol Absorption Could Evoke Ongoing Nationwide Euphoria And Random Tender Hugs) study. The results could have great implications, by freeing human resources for other, relevant, activities. The Peace on Earth study was open labelled and self experimental, with no control group. It evaluated the effect of submerging feet in 2100 mL of vodka (three bottles’ worth) on the concentration of plasma ethanol. Secondary end points were intoxication related symptoms. Three healthy adults (all authors, CSH, LHF, and PLK) agreed to participate. None had any chronic skin or liver disease or was dependent on alcohol or psychoactive drugs. None was members of local Alcoholics Anonymous communities or had been implicated in serious incidents or socially embarrassing events related to alcohol during the week before the experiment. The participants abstained from consuming alcohol 24 hours before the experiment. The evening before the experiment they rubbed their feet with a loofah to remove skin debris. On the day of the experiment, a baseline blood sample was taken through a venous line. The participants then submerged their feet in a washing-up bowl containing the contents of three 700 mL bottles of vodka (Karloff vodka; M R Štefánika, Cífer, Slovakia, 37.5% by volume). Before each blood sample was taken the venous catheter and cannula were flushed with saline by a trained study nurse. Plasma ethanol concentrations were determined every 30 minutes for three hours. Blood samples were taken to the laboratory for immediate analysis by the study nurse. Plasma ethanol concentrations, measured as soon as possible in case of rapid and potentially fatal increases, were determined using a photometric method, with a detection limit of 2.2 mmol/L (10 mg/100 mL, corresponding to 0.010% weight/volume). Participants simultaneously recorded intoxication related symptoms (self confidence, urge to speak, and number of spontaneous hugs) on an arbitrary scale from 0 to 10. As the size and therefore surface area of the participants’ feet varied, we calculated the surface area as previously proposed.1 The experiments took place in the investigators’ office in which the vodka bottles had been secretly stored for several days at room temperature (20°C). The main results are presented as medians (ranges). We planned a paired t test to compare baseline and maximum values of plasma ethanol concentrations and intoxication related symptoms. The level of significance was 5%, two sided. The table⇓ shows the baseline characteristics of the three participants. Plasma ethanol concentrations were below the detection limit of 2.2 mmol/L (10 mg/100 mL) during the experiment (three hours). The figure⇓ presents the intoxication related symptoms. Changes were not significant. No skin problems were observed during the experiment. After the experiment, the skin on the participants’ feet was clean and smooth. Our results suggest that the transcutaneous intake of alcohol (vodka, 37.5% by volume) through feet is not possible. We therefore conclude that the Danish urban myth about being able to get drunk by submerging feet in strong alcoholic beverages is just that; a myth. It is possible that beverages with an extremely high alcohol content—for example, absinth (80% by volume)—can penetrate the skin and lead to measurable plasma alcohol concentrations. Also, the transcutaneous uptake of alcohol through feet may be facilitated by skin diseases or ulcers. The limited number of participants (n=3) is a weakness of this study. However, the frequent measurements of alcohol concentrations, a relevant study period (three hours—a timeframe corresponding to a medium length visit to the local pub), and clear data make the result credible. Moreover, the results are in accordance with a study in which no transcutaneous absorption of alcohol was observed when hands were cleansed several times with an ethanol based hand sanitiser,2 and a study in which ethylene glycol absorption was slow and of low concentration through the skin of six frozen cadavers.3 The last study is not directly applicable to ours because of the frozen state. Many questions are still to be answered in the research specialty of alcohol transport across non-gastrointestinal barriers. This study has shown that feet are impenetrable to the alcohol component of Karloff vodka. Other stronger beverages, beetroot juice, or combinations of juices and alcoholic beverages may, however, cross the epithelial barrier of the skin. Moreover, new pastimes, such as “eyeball drinking,” have emerged. The significance of this activity is unknown. Rumour has it that it makes you drunk fast . . . and may damage your eyes. Contributors: CSH, LHF, and PLK designed and carried out the trial. All authors analysed the data, wrote the manuscript, and approved the final version. They are guarantors. Funding: The measurement of ethanol concentrations was funded by the Department of Clinical Biochemistry, Hillerød Hospital. Competing interests: All authors have completed the Unified Competing Interest form at www.icmje.org/coi_disclosure.pdf (available on request from the corresponding author) and declare: no support from any company for the submitted work; no financial relationships with any companies that might have an interest in the submitted work in the previous 3 years; no other relationships or activities that could appear to have influenced the submitted work. Ethical approval: Approval of the study at the local ethics committee was not attempted as this was self experimentation; all the participants were also authors. Yu CY, Tu HH. Foot surface area database and estimation formula. Appl Ergon2009;40:767-74. Miller MA, Rosin A, Levsky ME, Patel MM, Gregory TJ, Crystal CS. Does the clinical use of ethanol-based hand sanitizer elevate blood alcohol levels? A prospective study. Am J Emerg Med 2006;24:815-7. Saghir SA, Bartels MJ, Snellings WM. Dermal penetration of ethylene glycol through human skin in vitro. Int J Toxicol 2010;29:268-76.